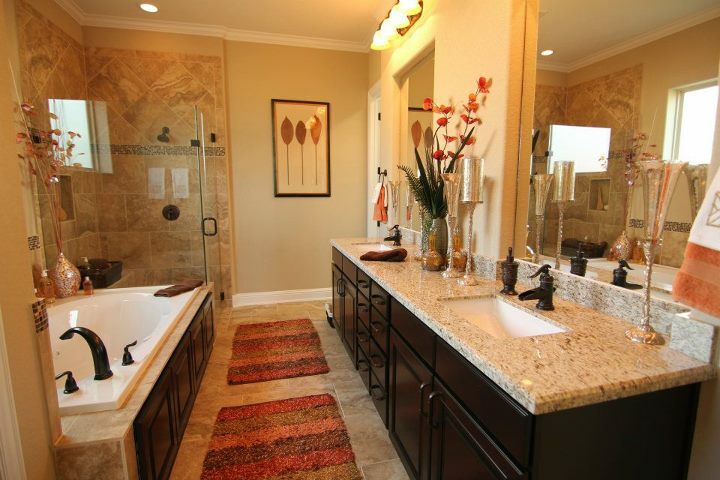 With bathrooms and kitchens featured in the last few posts, for TBT here are two favorites. 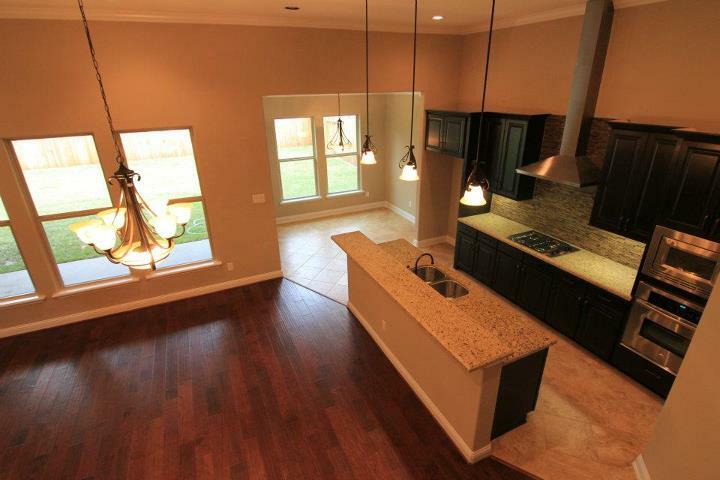 These photos were taken in homes built in the now sold-out community of Tuscany Woods. Lots of great photos online for you to enjoy! 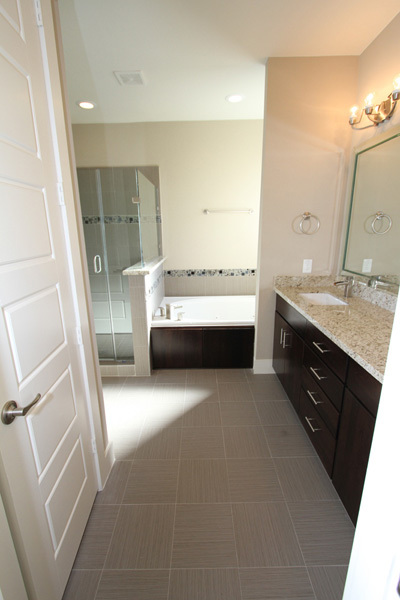 Master bath/showers at The Villas on Graustark include: Travertine tile flooring and walls throughout bathrooms. From Wikipedia: Travertine is a form of limestone deposited by mineral springs, especially hot springs. 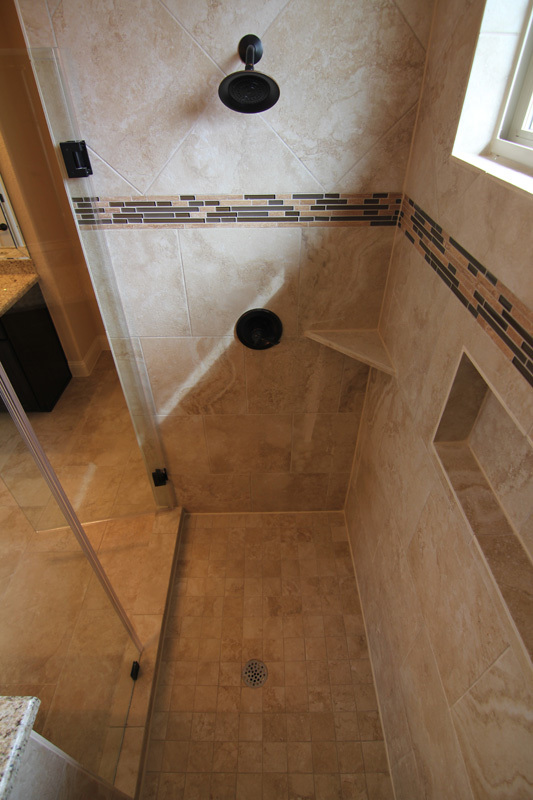 Travertine often has a fibrous or concentric appearance and exists in white, tan, and cream-colored varieties. It is formed by a process of rapid precipitation of calcium carbonate, often at the mouth of a hot spring or in a limestone cave. In the latter, it can form stalactites, stalagmites, and other speleothems. It is frequently used in Italy and elsewhere as a building material. Going to be 105 degrees in North Texas tomorrow. 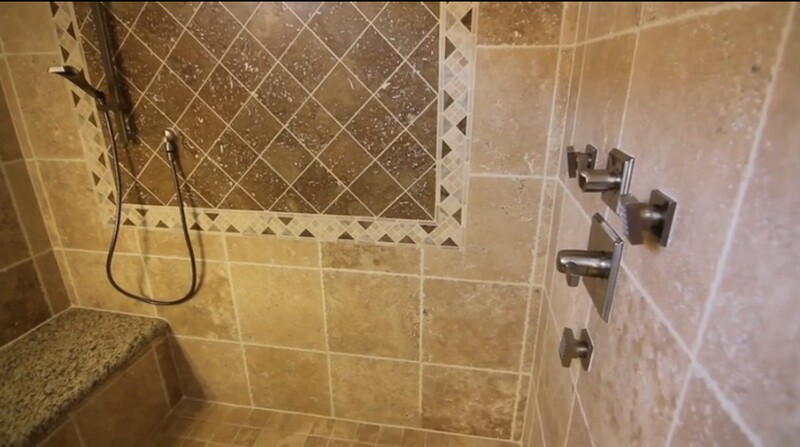 This shower would be a good place to cool off! 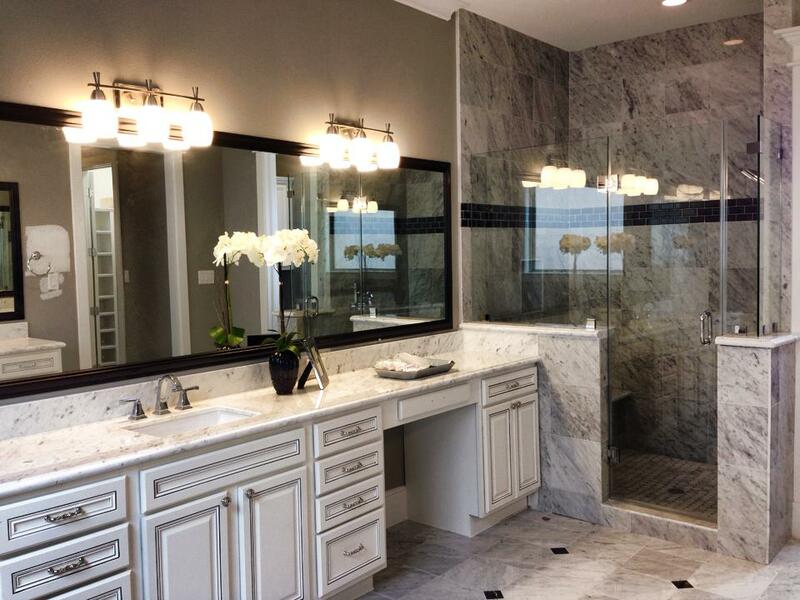 Great bathroom by Drake Homes Inc! 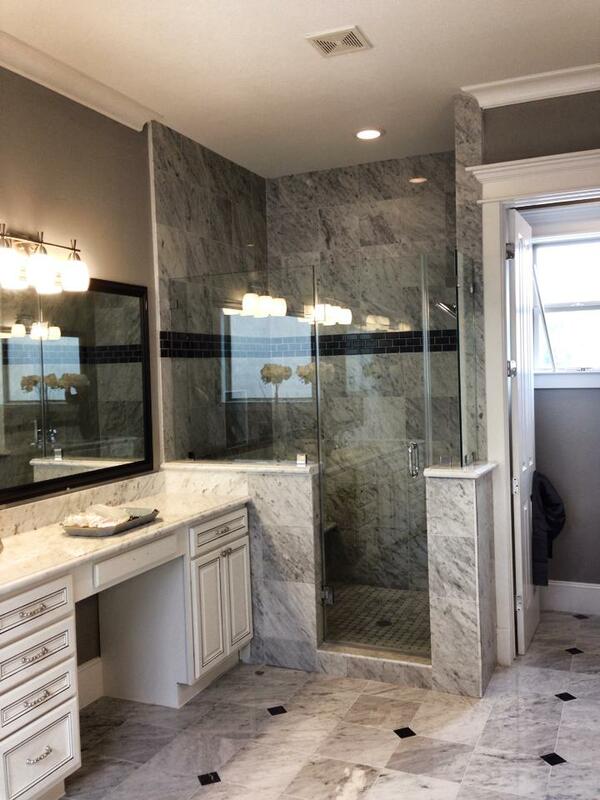 Different bath, more great tile work! Bright a cheery too! 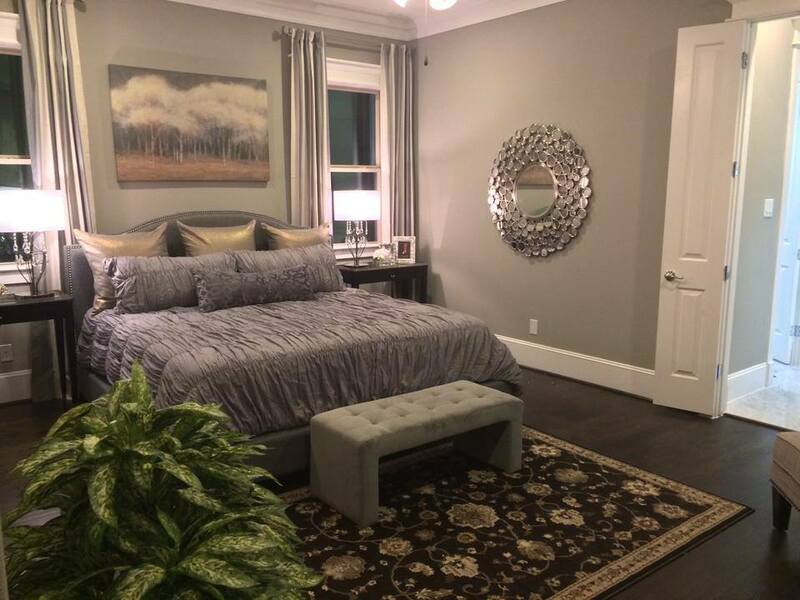 Please visit us online at Drake Homes Inc!! 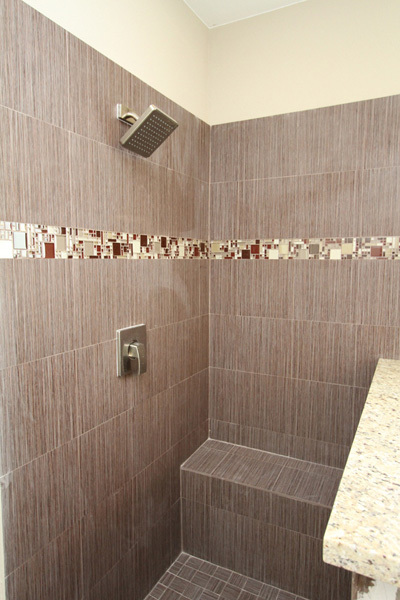 Great tile work and look at the showerhead! 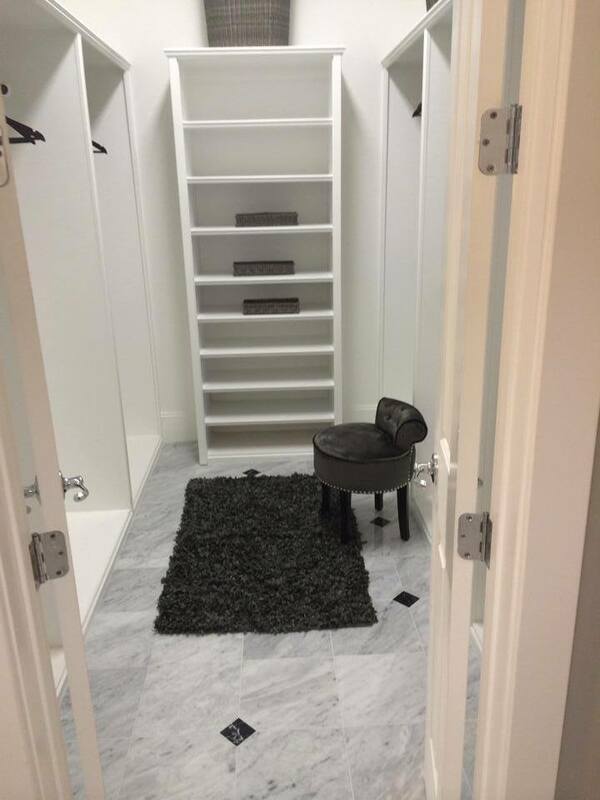 Drake Homes Inc…>we know how to create a great shower! Visit us online!